Moving Meditation is a rolling snowball that has come together from many sources. Our first active step was the “Three Dancing Meditations” CD by Niels Viggo Hansen – something that first seemed a minor spinoff or tool in other work. It became more unique and alive through a series of seminars co-facilitated with Maria Rose Dybvad that began in 2013. Right from these first beginnings the enterprise has been moving towards a creative network where more people explore, train and develop deeply moving meditation. Niels Viggo Hansen, Ph.D. Philosopher and physicist, researcher at Interacting Minds Center, Aarhus University. Research projects in meditation and group dynamics, some of it in cooperation with Danish Center for Mindfulness. Niels is a student of Chökyi Nyima Rinpoche, Erik Pema Kunsang, Michael Barnett and other meditation masters, and has been practicing and teaching meditation for 40 years. 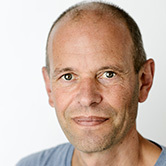 Niels has developed the Δ-programme, a mindfulness-based group program for healthy lifestyle changes implemented in several municipal health centers, and co-developed Spirituality East and West – an initiative for exploring and developing ways streams of spiritual practice and culture from East and West co-exist in contemporary culture. Read more in Niels’s personal website. 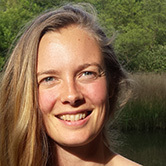 Maria Rose Dybvad, high school teacher (dance, ritual dance and narrative, Vestjyllands Højskole), psycho-motoric therapist, tango dancer, yoga teacher. 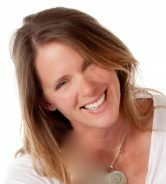 Maria is affiliated with the contemplative community Vækstcentret, Nr Snede. Read more in Maria’s personal website. Team, during the spring of 2015 we held the first in a series of “inner circle workshops”. We are devleloping an active contemplative team who can jon forces and spirits in making more workshops, test new professional applications,do more research, create more supporting music and images, and whatever else it takes to nourish and sprout things around moving meditation. Our idea is to try to avoid having a formal commercial training and certification, by instead being very serious about this kind of collective co-develpment. With a smile on our lips we see this as a cosmic and historical calling, and if you feel called as well, let us know. Several team members have already taught their first MM workshops. Of course, we are also currently writing The Book of Moving Meditation. In the sphere of music, Moving Meditation has been blessed from early on, with contributions from the band Surrender Cowboys to the original Three Dancing Meditations CD. Almost everyone who has been on an MM retreat will remember the band’s singer Henrik, “the singing cook”. 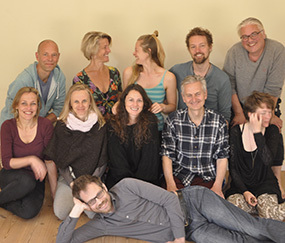 Recently, Max Bering and Merete Gro Jacobsen have been composing and recording music with Niels, for some of the new guided meditations which are not yet published although many have already met them at MM’s seminars and retreats. Outside of Denmark Moving Meditation is also beginning to spread roots and branches through contacts in research, development and teaching. Heidi Mack has co-translated / edited / spoken 2014-CD’en with Three Dancing Meditations. Please listen! Heidi’s voice takes the whole thing to a higher leve. Also, several American, German and French friends, mostly from Mind and Life summer research meetings, have connected with MM and participated in our seminars. Anne Harper Campbell has co-thought a seminar with Niels, and coming courses with Naomi Arbit and Sarah Laborde are taking shape.